A young entrepreneur who I had advised on a previous venture recently ask for feedback on his newest idea. Gregor Ruthven has developed a simple solution for adjusting the performance characteristics of a surfboard for different wave conditions. He is considering a go-to-market strategy by licensing his new invention. 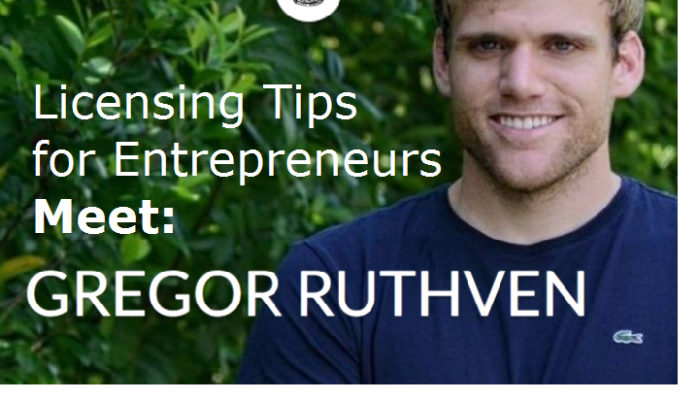 You may find the tips below I offered Gregor useful as well. “A couple of years ago I was surfing on this 7’0” funboard in some less than stellar waves. I noticed that the board just wasn’t fast enough to keep up with the mushy waves. I kept getting stuck in the whitewash and was frustrated because this was my only board,” claimed Gregor. Surfers know that the type of fins can be swapped in and out to balance speed and control, but changing the fins provides only one option to fine-tune a board’s performance. After trial and error, Gregor designed a system that can adjust the angles of the fin itself, specifically cant and pivot. His solution is an easier-to-use adjustable fin box system that is compatible with other fins on the market, and one that can be integrated into any surfboard during manufacturing. He proved the concept through prototyping on a 3D printer. He is now looking to take it to the next level. If this solution works for him, is it possible to commercialize the idea and license it to an interested partner? Understand your partner’s motives. Do they want to take your idea to market, or do they want to sit on it as means to stifle innovation that could disrupt their own business models? I suggested negotiating a license agreement that safeguards his interest. An attorney can advise language to such affect. Determine what you plan to license. Do you want to assign patents, or do you want to develop an aspect of the product and license its use? In Gregor’s case, he is not interested in producing the product, but he wants to license the use of the patent or assign it outright. There is a trade-off between these two options. More control means more work, but may yield higher revenues in the long run. Immediately assigning the patent to the product means less work, but would require giving up control. Assess the partner(s) fit. Do you want an exclusive agreement with one partner, or do you plan to license the technology to all? Consider the market structure of the industry. In Gregor’s case, there are a few large brands that dominate the market. Signing an exclusive deal with one is a consideration. This is what Apple did when launching the iPhone. They licensed with one carrier, AT&T, and then as the market matured, licensed to others. Decide what payment structure works for you. I’ve seen deals vary from an outright cash payment for the intellectual property, to a strict royalty based on revenue. The former provides a predetermined amount of up-front cash, the latter an on-going annuity, but the amount is uncertain. Or, a combination of the two may satisfy both parties’ cash requirements and toleration for risk. The industry standard becomes the starting place for negotiation. The ideas expressed in my writing, videos, articles, and online posts are my own opinions and do not necessarily represent the policy of my employer Southeastern University. Career Advice to a Millennial What Is a College Degree Worth?